Yet again I want to say thank you so much to everyone who writes in – I know it’s a big thing to open up to a stranger about your deepest feelings and fears. But I also know that on this Twin Flame journey we often don’t have anyone around us who truly understands. And I want to thank you for trusting me with your experience. I want you to know I do understand and I appreciate you opening up, so much. I do read all the emails and contact I get but as there are so many Twins writing to me every week I’m not able to reach out to everyone personally. If you’re hurting right now, my best advice after encountering thousands of Twins to date and having been through Ascension myself is to begin working with your energy and your core beliefs. Energy really is the crux of the Twin Flame connection: When your energies are aligned, you exist in harmony together. When your energies are imbalanced, there are flare-ups of conflict, negativity and problems. It was simply because they weren’t in alignment with it. Their energy was blocked to it happening. The great news is things really can change for the better for you, no matter what’s happened before. I was asked to create the Vibrational Alignment Program for Twin Flames to help as many other Twins as possible reunite in love. You can also download my Free Help Kit for Twin Flames with a powerful energy cleanse tool to get you started on raising your vibration and clearing your chakras right now. And have a look here at the amazing experiences other Twins have had with my energy tools here. Also, there might be previous articles on this blog that can help you with the specific issues you’re dealing with – have a look through the archive or use the search box! #1) Don’t Let Other People’s Opinions Affect Your Connection. Your journey is yours and outsiders can never fully understand your experience – plus, you don’t want the grief of other people getting involved with their energy, stressing you out, influencing you and opposing what you potentially feel is right. #2) Don’t Hang Onto the Past. If you let go of old hurts, you open up to new positive shifts and developments. Often easier said than done, I know: Energy clearing helps eradicate the attachments and negativity from the past so you can move on with more ease. To read about how forgiveness actually benefits *you* more than anything, and why you should do it right now, go here. #3) Don’t Get Dependent on Psychics/Tarot cards/Pendulums – although you might get good insights sometimes, it places the focus on a power outside of yourself. Use with caution, because no reader is right 100% of the time and if you get negative feedback it can destabilize you for days. Learn to connect to your feelings and your soul – at least as an addition to start with. Your higher faculties are always able to give you multiple levels of insight for extra reliability once you open and clear your channel. Learn to “feel” the truth rather than having it served to you from others. To learn more about connecting directly with your intuition, opening to guidance from your soul and getting verifiable insights from spirit – have a look here. #4) Don’t Let Anyone Tell You it’s not Meant to Be. We are co-creators of our experience, infinite beings living in human bodies. If you decide to make something happen, you can do it – set the intention, then clear anything in the way of it. This works every time. It might not be instant, but it’s how our universe of energy works. #5) Don’t Get Duped by gender stereotypes/spiritual dogma and other people’s warped ideas about love. Society is full of damaging beliefs about women and men and relationships (love hurts, the Romeo & Juliet story, the beautiful suffering of love, men only being after one thing…) This stuff trips up more Twin Flames than many realize. Beliefs become blocks to openness and love. Do some “digging” to discover your true beliefs, and clear them for good. Your energy will shift and you won’t be recreating negativity anymore. As within, so without. We go through clearing the biggest Twin Flame belief blocks in this full energy clearing session. #6) Don’t Buy into the Surface Illusion – no matter what’s going on for you and your Twin Flame as human beings on earth, your souls are always together in love. Life on earth is in many ways an illusion. Try to begin to tune into what’s going on behind the scenes – the soul connection – it will strengthen your connection and open up to “miracles”. energy, your whole dynamic and experiences begin to shift too. #1) Do Listen to your Heart and Soul. Get in touch with your intuition. Your heart and soul know exactly how to get you to a place of harmony and joy – both within yourself, and with your Twin. Learn to quiet your mind and allow insights from your deeper faculties to come forth. Meditation and clearing congested energy from your chakra system is an amazing help with this. #3) Do Stop Using Labels like Runner/Chaser/The Dance/Separation – these labels only reinforce and entrench the struggles, creating more of the same negativity. Make up your own words and see your experience with fresh eyes, because you avoid tapping into the Twin Flame collective’s preexisting negativity around these terms. #4) Do have fun with it! I know it’s not always easy, but try your best to focus on the fun, the laughter, the amusing weirdness, the wonder of the synchronicities, the happy times. Amusement is a powerful way to lift your energy vibration into more joy and love. You get more of what you focus on. 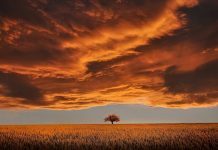 For inspiration, have a look at this article where Twins from all over the world shared their mind blowing experiences in the comment field below. Amazing! #6) Do Remember to Live your own Life too. 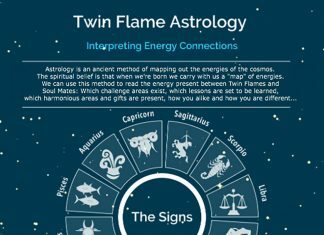 You might be a Twin Flame, but you’re also an individual with your own aims, desires and dreams. Don’t forget to prioritize your own self. Being one of a Twin pair doesn’t mean you have to give up your own happiness and dreams. You are whole inside. Tap into the feeling of wholeness within as often as you can, paradoxically it shifts your Twin connection into balance too. Wholeness within equals wholeness without. #7) Do Remember to Love Yourself. It can be easy to forget to take care of and nurture ourselves in a busy life – not to mention with the ups and downs of the Twin Flame journey. But your relationship with yourself determines how you interact with others and what you draw out in them – especially between the Twin Flames who are two parts of the same original consciousness. Show yourself love. Learn to let any “flaws” go and honour your gifts, talents, good traits. Learn to embrace yourself as the perfect being you are, and this positively impacts all areas of life! At its core, the Twin Flame journey is a path back to oneness – both within yourself and between the pair. It is about unconditional love both for yourself and your Twin. An alchemical experience of embracing your shadows and facing your hurts so you can release them, of forgiving and loving another so they can transform into their true self beneath the facade of ego, of understanding the paradoxical nature of hurt and love – and ultimately rising above the illusion of human separation and suffering. A journey back to yourself as an infinite being of light, and the unconditional love for all beings that comes through that. There’s your key and your lock. You are such a beautiful soul and I’m so glad to be on this path alongside you – I know awakening and ascension can be tough, but you’re never alone. As always, I’m sending you love and light for your continued journey. And if you want to take the bull by the horns and begin deeply healing and shifting your energy Twin connection, have a look here for more info on my tailored program for Twin Flames – the methods that got my Twin and I to union within 18 months of our first encounter.